This living room chair is made from suede/PU/linen, foam, wooden frame and birch legs. Cute and special design in animal shape. With 6 colors available and 5 choices, you can select the color you like and choose the design, that is simple straight nose design, lift up nose design, roll up nose design, straight nose with storage box, roll up nose with storage box. 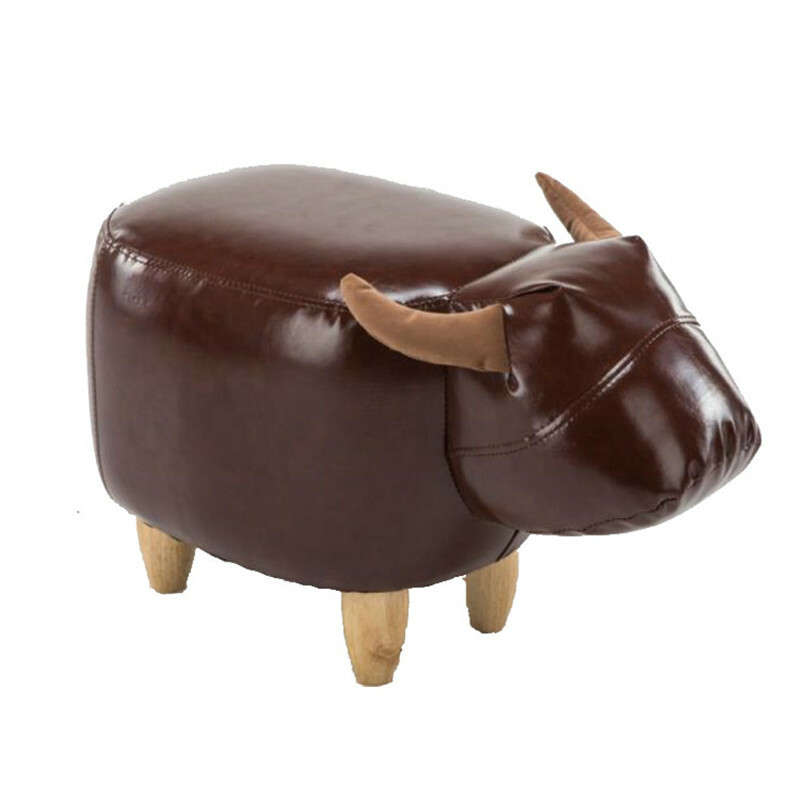 The small cow living room chair can be used as shoes stool, living room storage case, bedroom ottoman, and even children\'s toy! So take this storage living room chair to your home to bring joy to your family! We ship by Aliexpess standard shipping or Hong Kong Post Air Parcel, whichever is cheapest way. So when you the order, we will check the courier costs and choose the cheapest way to ship the goods. Usually it takes 15-30 days to your door. Pls make sure your phone is available when you place the order. We always have embrassed moment that courier can not get through buyer\'s phone. Buyer are responsible for additional charges like customs fees/duty tax/VAT for importation, if any, if possible. We ship by sea WORLDWIDE. We are located in Foshan, Guangdong, China. Item will be shipped out in 7 days after order confirmed. We are manufacturer for furniture, so wholesale volume purchase or OEM is welcome.